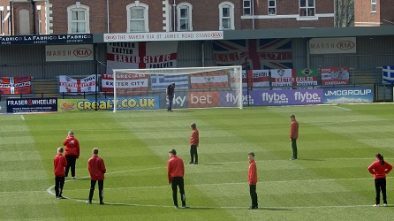 In the absence of a local derby (Yeovil doesn’t count) most eyes were fixed on when City were down to play MK Dons following the events of the summer. 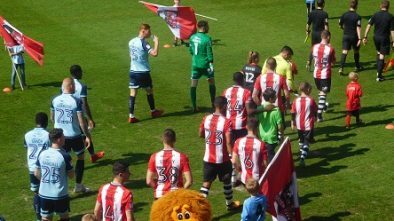 Paul Tisdale took on his new challenge alongside several of the players and coaches he worked with at City, the signing of City’s captain Jordan Moore-Taylor angering the City support due to a free transfer release clause inserted into Moore-Taylor’s contract apparently last January. One name that will definitely be missing from the City team sheet will be Jordan Tillson, the defensive player having been loaned out to Cheltenham this week, however at time of writing the signing of Donovan Wilson has been completed with the potential for more to come before 11pm. When Paul Tisdale parted ways with City after nearly 12 years in the job following the playoff defeat to Coventry, the talk was of a move to MK Dons, something that came to fruition shortly after. Managers often like to bring in their own men, and so it proved with Matt Oakley, Mel Gwinnett and even Steve Perryman going with him, while former City player-coach Danny Butterfield also joined the coaching staff after leaving an academy role at Southampton. 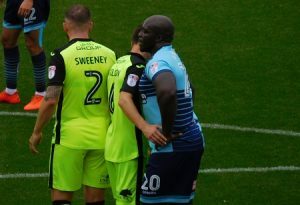 Three players also followed Tisdale – Moore-Taylor as already mentioned, plus Ryan Harley and Robbie Simpson, while last week David Wheeler joined on loan from QPR. Wheeler and Harley (who has recently returned from a long-term injury) will expect to feature but Moore-Taylor faces a race against time to be fit having limped off early in their 1-0 defeat at Grimsby last week. That result was their fifth defeat in seven games, but the slide was arrested in midweek with a 2-1 win over Oldham to keep Tisdale’s side firmly in the playoff places one place and three points ahead of City. 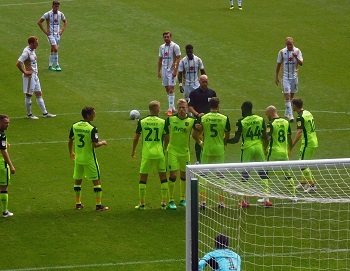 The reverse fixture back in August finished 1-0 to the hosts, Kieran Agard scoring from the spot (after an earlier kick went begging) against 10-man City after Dean Moxey picked up two yellows. City have a wretched record against MK with no wins from seven in league fixtures (and nine overall – famously losing 4-3 in the FA Cup having been 3-1 up), while MK have five wins from those seven league fixtures.